Pundi X (NPXS) is a cryptocurrency token generated on the Ethereum blockchain. The total supply of Pundi X that will ever be issued is 274.56 Billion tokens, and the current supply of NPXS in circulation is 194.60 Billion tokens. Current Pundi X price is $ 0.000656 moved down to -2.00% for the last 24 hours. All time high (ATH) price of Pundi X reached $ 0.0144 on 17th Jun 2018 and fallen -95.4% from it. Pundi X's share of the entire cryptocurrency market is 0.07% with the market capitalization of $ 127.66 Million. 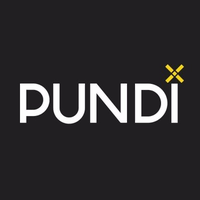 Pundi X’s 24 trading volume is $ 1.72 Million. It is trading on 33 markets and 19 Exchanges . Find more details about Pundi X cryptocurrency at the official website and on the block explorer. Pundi X price Index provides the latest NPXS price in US Dollars, BTC and ETH using an average from the world's leading crypto exchanges. The Pundi X to USD chart is designed for users to instantly see the changes that occur on the market and predicts what will come next.